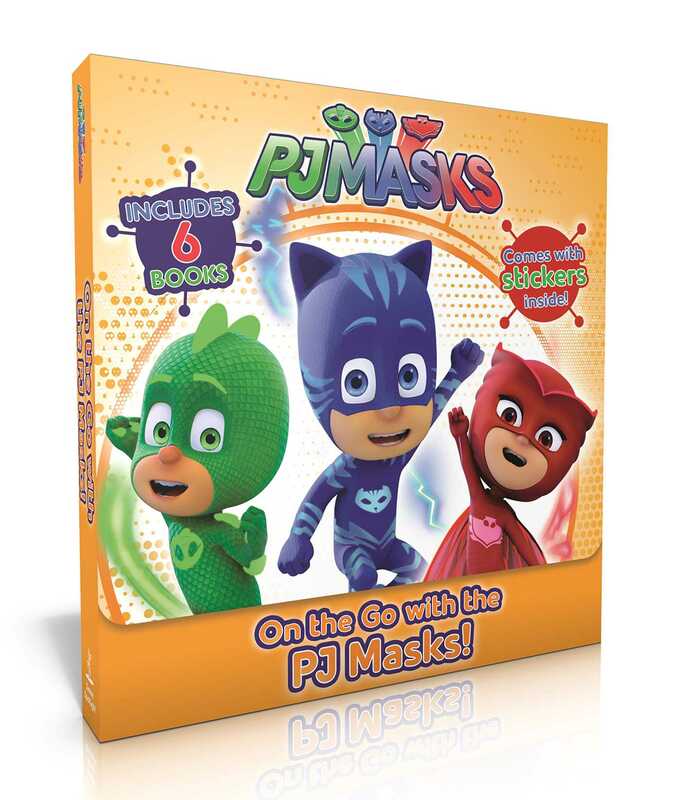 Join Catboy, Gekko, and Owlette as they go into the night to save the day in this collectible 8x8 boxed set, complete with a carry-along handle, Velcro closure, and a bonus sheet of stickers! It’s night in the city and a brave band of heroes is ready to face fiendish villains to stop them messing with your day. This boxed set with a carry-along handle includes six stories for you to take along on your adventures! Book Cover Image (jpg): On the Go with the PJ Masks!